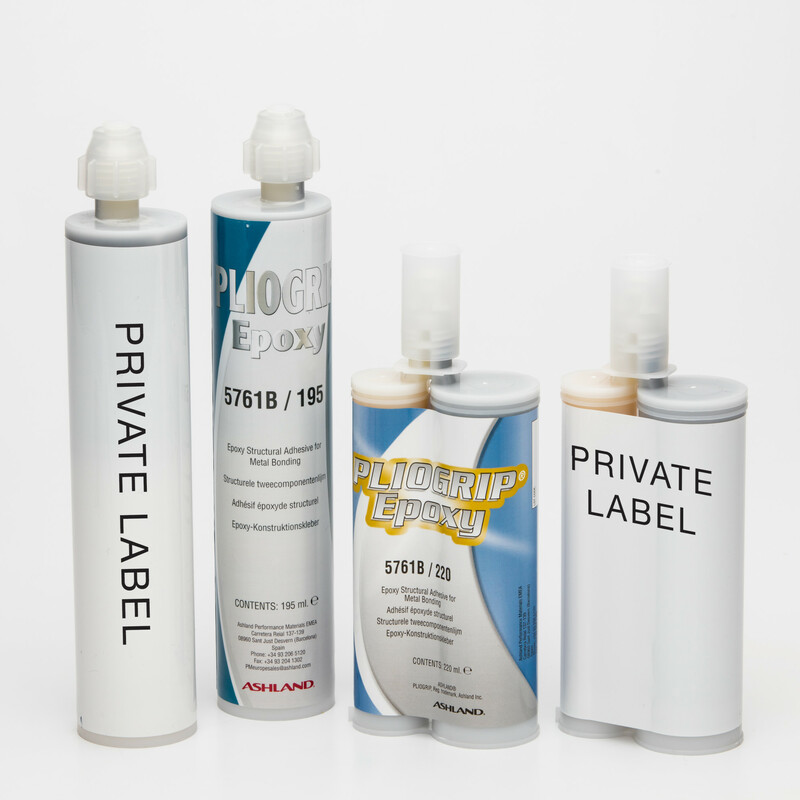 Pliogrip® 2C-Epoxy is a unique 2 component Epoxy Adhesive. Especially developed for the bonding of metal and composite substrates. Available in several sizes of packaging in a 2:1 ratio. • A minimum adhesive thickness is guaranteed by glass pearls with a diameter of 0,25mm. • Excellent resistant to powder coat. • Wet spot welding possible. • Unique anti-corrosion formulation so application on bare metal is possible. • High energy and impact absorption. • An opened cartridge which if stored correctly has a shelf life of 2 years. • Excellent sag resistant for horizontal and vertical applications. • Bonds metal, SMC, ABS, aluminium, galvanized steel, cold rolled steel and hot rolled steel. All information is based on a room temperature of 23°C and a humidity of 55%. Ask for the different type of packaging.